As expected, the Red Sox have spent big for a free agent ace. According to multiple reports, the BoSox and David Price have agreed to a seven-year contract worth $217M. He gets an opt-out after year three, which is par for the course these days. All huge money deals include an opt-out. The contract is still pending a physical which will happen later this week. At $217M, this is the largest pitching contract in history, narrowly edging out Clayton Kershaw’s $215M pact. It’s the eighth largest contract ever, behind Giancarlo Stanton ($325M), Alex Rodriguez ($275M and $252M), Miguel Cabrera ($248M), Robinson Cano ($240M), Albert Pujols ($240M), and Joey Votto ($225M). Hey, you don’t bring in Dave Dombrowski to run your baseball operations to not spend money and trade prospects. As for the Yankees, this doesn’t really affect anything other than having to compete against Price and the Red Sox going forward. New York wasn’t in the hunt for Price — the Cubs, Giants, Cardinals, and Dodgers were the other teams in the race, reports Jerry Crasnick — because they’re unlikely to spend significant money this offseason. The Yankees only spend what comes off payroll and this year that’s only $20M or so. Nothing has really changes for the Yankees as far as their offseason plan is concerned. They still could use another starting pitcher, preferably one they control beyond 2017, plus maybe a second baseman and miscellaneous depth pieces. A Brett Gardner or Andrew Miller trade could change things considerably, but right now both are on the roster. According to multiple reports, the Blue Jays are set to acquire David Price from the Tigers. Top pitching prospect Daniel Norris and top outfield prospect Anthony Alford are part of the package heading back to Detroit. It’s unclear what other players are involved at this point. The Blue Jays acquired Troy Tulowitzki a few days ago and they haven’t been to the postseason since 1993, so they have every reason to go all-in. GM Alex Anthopoulos is surely feeling the heat. Toronto is seven games back of the Yankees in the AL East — they still have 13 head-to-head games remaining — but only two games back of the second wildcard spot. Their +100 run differential is the best in the AL and second best in MLB. The Yankees reportedly pursued Price while remaining unwilling to part with their top prospects, Aaron Judge and Luis Severino specifically, meaning they had little chance to acquire the ace left-hander. 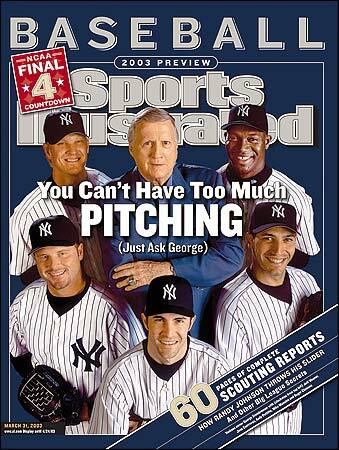 I think they should have made their top prospects available, particularly Severino, but the Yankees disagreed. I’m just a guy with a blog. What do I know. Price sure would have looked nice in pinstripes though. With Price, Scott Kazmir, and Johnny Cueto off the board, the best available pitchers are Mike Leake, Yovani Gallardo, and Ian Kennedy. Jeff Samardzija and Hisashi Iwakuma may or may not be available as well. The Yankees need pitching, it’s becoming more obvious with each passing game, so hopefully they reel someone in before the deadline tomorrow. Whoever it is, they won’t be as good as Price. Update: Alford is not in the trade. The Tigers are getting three lefties: Norris, Matt Boyd, and Jairo Labourt. An equivalent Yankees package would be something like Severino, Bryan Mitchell, and healthy Ian Clarkin. Ballpark estimate, not exact.